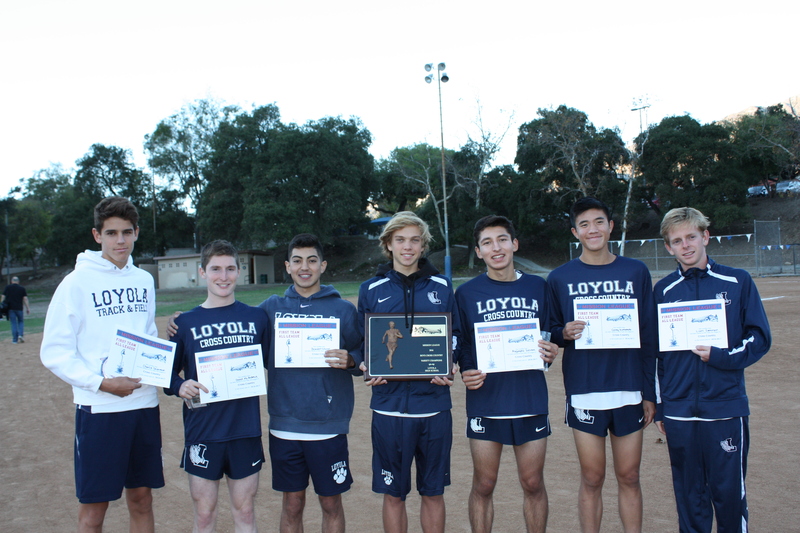 THE VARSITY CROSS-COUNTRY TEAM receives First Team All-League award after winning 20th consecutive league title. In his 30th year of coaching cross-country at Loyola, head coach Lalo Diaz has fielded one of the strongest teams in school history, according Rich Gonzalez, manager of Prepcaltrack.com and the CIF Southern Section cross-country rankings. The Cubs won their 20th consecutive Mission League Title on Wednesday, Nov. 2. According to the most recent CIF polls, Cubs are ranked first in Division I. Days before the annual Mt. Sac Invitational on Oct. 22, also called “the world’s largest cross-country competition,” Prepcaltrack.com ranked Loyola second in the state among all divisions and CIF sections. In a race that featured seven of the top eight ranked teams, the then undefeated Cubs finished fourth behind No. 1 ranked Great Oak and Division II opponents Claremont and West Ranch, who placed second and third, respectively. After this loss, the Cubs moved down to third in Division II, according to Prepcaltrack.com. At Mission League Finals on Wednesday, Nov. 2, the Cubs swept the top seven spots, becoming the first team to do so in league history. With only a 14 second gap between first to sixth man, the Cubs won their 20th consecutive Mission League Title. Scoring a perfect 15 points, all seven varsity runners were named First Team All-League. Junior Shane Bissell won the race, out stepping senior Charlie Sherman in the final few strides. After their performance at league finals, the Cubs were moved up to first in Division II in the most recent CIF polls. The Cubs will race tomorrow in heat one of the CIF Prelims, a race that includes the No. 4 ranked West Ranch. On Saturday, Nov. 19, the Cubs will race for a CIF Championship plaque at CIF Finals. 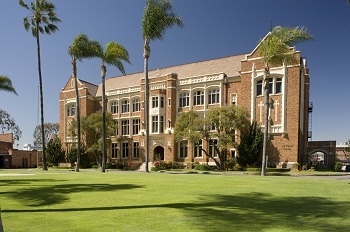 Unlike years past where both prelims and finals have been held at Mt. SAC, CIF Prelims and CIF Finals will be held at the Riverside City cross-country course due to construction. The CIF State Championships will be held in Fresno on Saturday, Nov. 26, as the Cubs hope to win back-to-back Division II State Championships and advance to Nike Cross Nationals on Saturday, Dec. 3, for the first time since 2012.